– Link to Religion News Service story. I confess that I didn’t give much thought to this incident when my cousin Rev. Dr. Sam Tsang brought it to my attention [see his blog]. I’m rather cynical about the practice of protesting “stereotypical” images. All they do is garner attention to the loudest protesters who often use the incident to enhance their own platforms. In the end, we wind up censoring yet another Asian representation because it is labeled culturally insensitive. 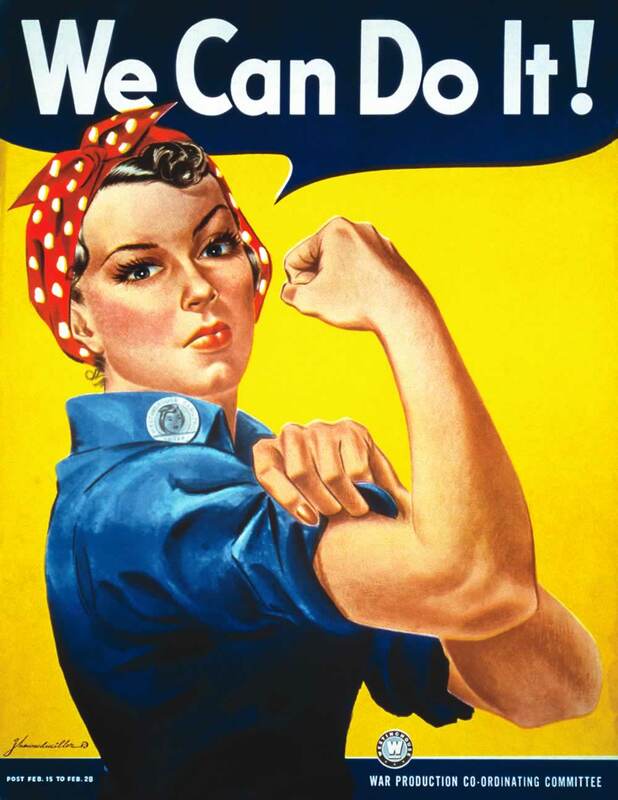 Would it have been better if Pastor Warren used the image of Rosie the Riveter to make his “funny point”? Maybe. But would we complain about a lack of Asian American representation? But then it occurred to me that the image itself or the motives behind using it were not really the issue (well, maybe they would be for the rabidly anti-communist). Ignorance of another people’s cultural and historical sensitivities can be forgiven. After all, many Chinese American immigrants who are unaware of the Japanese American internment experience or of the story of the Black Civil Rights movement harbor deep resentment and prejudice towards Japanese and African Americans. The fortunate ones learn and appreciate. 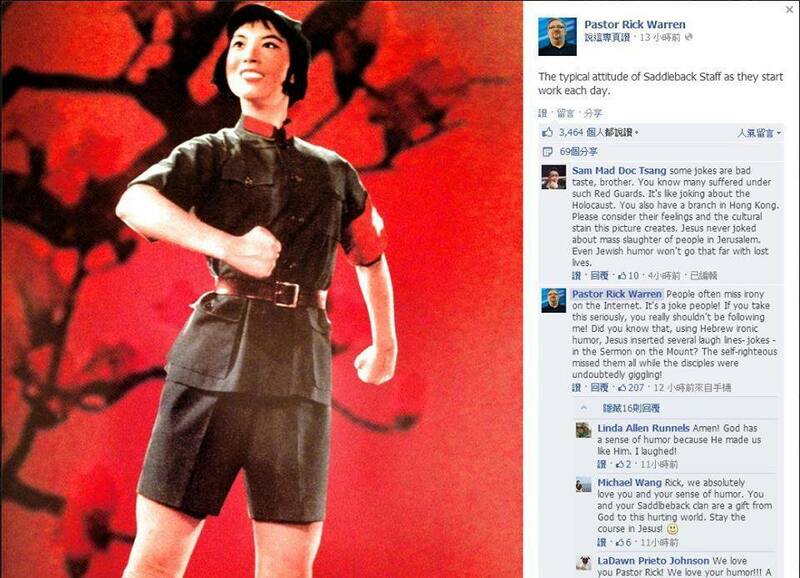 So even if Rick Warren should have known better because he lives and ministers in a region with a very large Asian American population, it doesn’t surprise me that he wouldn’t be aware of Chinese Christian feelings about the Cultural Revolution. We all live in cultural bubbles. To me, the real issue was the type of responses Pastor Warren and his defenders gave to Dr. Tsang and those who expressed concern. Using a despised image ignorantly is understandable, but disrespecting those who object to its use is not. I refer you to Kathy Khang’s blog. As leaders grow in prominence in the evangelical world (and this includes Asian American evangelical leaders), they must make choices about who to pay attention to and who to ignore. Pastor Warren’s initial dismissive response and subsequent half-hearted apology (and especially those of his defenders) reproduce a world view where Asian Americans don’t have to be taken seriously. According to this outdated 19th century perspective, the body of Christ may be diverse, but the white person is always the face and the Asian (and other non-white people) are always the feet. Asian Americans are only useful as contract laborers or vehicles for bringing a Westernized gospel to Asia. There is no need to hear their voice, their joys and sorrow. They speak a foreign language anyway. It’s unfortunate that Asian American contributions to the American church and to society in general is largely forgotten. But if Wesley Granberg-Michaelson (former general secretary of the Reformed Church in America) is correct, Asian Americans, along with other immigrants, will continue to impact American Christianity positively in the future. It is time for the Body of Christ in America to speak to its feet!